What can one say about Vincent Kehoe? Well, he was supremely gifted and passionate Makeup Artist. His book, "The Technique of the Professional Make-Up Artist for Film, Television and Stage," should be required reading for anyone that truly desires to have a deeper understanding of every aspect of media makeup. Mr. Kehoe designed and introduced the color process line that we know as RCMA Professional Products. I was introduced to this line while I was in school. I was working on a model that had severe hyper pigmentation, and no amount of product or application technique was working. Seeing my frustration, my instructor at the time came over with her RCMA palette, and sure enough, three small dabs of this foundation and my stippling brush completely covered the hyper pigmentation. I've been hooked ever since. This is a cream foundation. Unfortunately, when most people think of cream foundations, the first thought that enters their mind is: Thick, heavy and unnatural. This foundation is the exact opposite. RCMA foundations are heavily pigmented and surprisingly lightweight. One only needs to use a freakishly minimal amount to get full coverage without the "full coverage' look. I own both of the Shinto and KO palettes, and you can find, or mix the perfect depth and undertone match quite effortlessly. I find that I use the Shinto shades more often, as I find that yellow works as an overall complexion brightener. Very small but the foundations are great! I wish there was a size on the description. The foundations from RCMA are bomb dot com obviously but This palette is SOOOOOO small. The pans are like eyeshadows. I obviously cant give this a bad review but SIZES PLEASE. The PREMIERE Make Up for Make UP Afficionados! I absolutely love this makeup! Love it, love it, love it😍😍😍😍!! 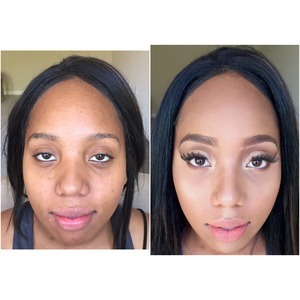 I'm a professional make up artist, but mostly I'm someone who suffers from bad adult cystic acne. I have ugly, vibrant scars from blemishes so long ago and new ones as well. I have other skin sensitivities that ail acne sufferers as well. I tend to have oily skin, combination in the winter. I also have tons of texture on my cheeks, more like ice pick type scars. I tend to want to wear make up all day, & I want something that covers well & I don't need to touch up as much! I also live in Los Angeles, it is sunny 😎 here all day so most make ups tend to require lots of touch ups through out the day, otherwise they start running and sliding off the face. When you have acne ...you don't really want to keep putting product on the skin. RCMA is a vegan, irritant free line. I love the fact that you need a tiny bit to fully cover the entire face. You don't need any concealer for eyes or blemishes. I simply put this on my face with a beauty blender and then add a little to the areas that need the special attention. The fact that there are so many shades make it so easy to conceal, highlight & contour. The finish is smooth and light and pretty much slip proof! I do pat my skin with the RCMA color free powder, which is excellent as well. I have used so many countless makeup my entire life & I have never been so impressed with a make up ever! The actual foundation is actually like 50% pigment, so if you consider this and the fact that it is vegan it is totally worth the price. This is an essential to anyone's make up kit. It is beautiful, lightweight, it looks and feels great. Overall it is just such a superior product! I carry both the Shinto palette and the KO palette in my kit. Both get used a lot but Shinto tends to get used a little more. 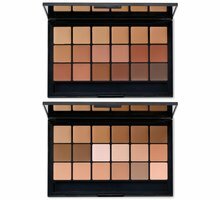 Between these two palettes and my make up for ever flash palette I know I can create a perfect match for any skin tone. Takes a little getting used to as all shades need to be mixed to create a natural looking tone on anyone but once you get the hang of it is amazing. Note, be careful mixing these with water based products or trying to blend with a damp sponge. Since the foundation has more of an oily base to it its best to blend out with a sponge dipped into moisturizer instead of water. I prefer to use my hands when blending. This is one of the best foundation palettes out there. Vincent Kehoe created this line. He studied the skin of many actors and actresses and came up with a wide range of colors to suit every ethnicity. The formula is creamy and offers coverage while looking natural in film and photographs. If you are a makeup artist, this is one to have in your kit! As an actress, I've become a makeup lover! Watching the makeup artists do amazing looks to my characters.. I've bought so many different foundations over the years, THIS IS IT! I purchased the #11 palette. I use my Creme De La Mer scoop to tap out the tones and hues from the palette onto my wrist for warming. The coverage and pigmentation is unparrelled! Oh and looking at my skin upclose, it looks dewy and even.It lasts all day, not once have I had to retouch it! I've begun using the darker tones to contour with, instead of dry cakey powders, what a difference! The lighter tones I use for concealer! Bravo, BRAVO! I want to buy the entire line. Thanks Beautylish for this and fast shipping...very satisfied customer here. As a self proclaimed make up fanatic, I have to say that this foundation is my favorite. I read all the instructions on using it. YouTube videos, Beautylish editorials, my Jacqueline H. book of screenshots was probably viewed at least 900 times. I wanted to make sure that I had an idea of how to use it because I wanted to love it. I was confused at first, scoop mix blend don't use a damp sponge, 50% pigment blah blah all circling in my little head and intimidating me to the max. There are a million methods on how to use this foundation. Just make sure that you use it properly at the end of the day. The way that I enjoy using it the most is by warming it up with my finger while it's still in the palette ( I know, so not sanitary but I sanitize when doing others make up or every so often) and then applying it. Scooping it out literally makes me nervous but I liked how it looked when you take the step of warming it up first. This foundation covers EVERYTHING. I used a peachy tones shade to color correct and several other shades as my foundation shades (Lighter-darker shades so that I still have dimension as opposed to that flat one color look ). I have to say that this looks so much like skin that you will be fooled. No, seriously I had to compare halves of my face to make sure because we are so used to a full face of make up looking like a full face of make up. This stuff is heaven sent and you will have to use it more than twice in order to get the hang of things. I set it with RCMA no color powder and it looks ~Flawless~. The fantasy of full-coverage looking like skin. Even under the harshest and ugliest lighting you look ~Flawless~. I probably won't be buying anything ever again. I recommend using up any other foundations you have before buying this, otherwise you'll never look at them again and it'll be a waste. I waited until my other 2 were finished.. thank god I did as they weren't cheap either. Multi-functional palette for any skin tone! What can I say about this palette? For the pros: this is a must in your kit. It serves both as your foundation palette but also has your concealer. With the range of colors you're able to skin correct and do natural contours & highlights. A little goes a long way - for a sheerer finish mix with a primer before applying to the skin. Can also be mixed with other cream correctors from Ben Nye (color wheels) OR MUFE Flash Palette! I've used this palette to create aging, skin conditions or other minor effects for film. For day-to-day use: Mix foundation colors to create the perfect tone for the season. 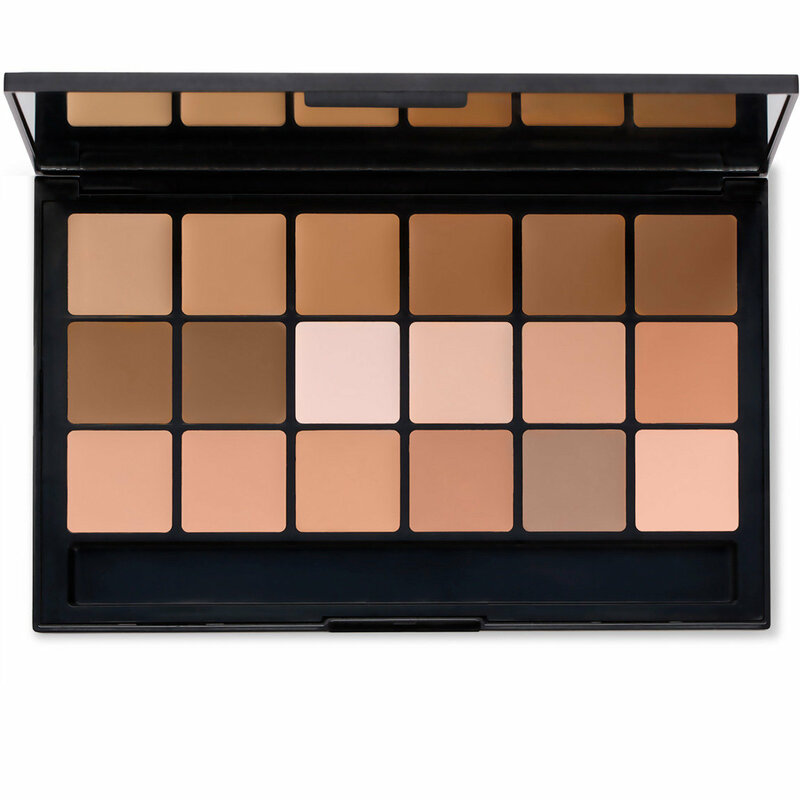 This palette is great for use with different skin tones on their face (darkness around mouth or light on the forehead). Instead of "masking" your skin tones with one color this corrects it so it's actually smooth, consistent and flawless without the heaviness. Apply with a blender sponge and make sure to work it into your skin to warm up to even coverage.